Work for Raiser's Edge NXT? Learning about Raiser's Edge NXT? "NXT: Improvement for Frontline Fundraisers"
Ease of Access to Fundraising Information. On one dashboard you can easily look at donor records that show multi-year giving histories, events, appeals, contact information, and notes. Furthermore, NXT has a robust tagging system that allows you to review donors who are lapsed, in danger of becoming lapsed, require follow-up, etc. The user interface is a huge improvement and allows for much more accessibility and ability to edit pages. There is currently limited functionality with upgrades slowly rolling out. It currently doesn't allow you to access some modules that were easily accessible in Raisers Edge, like the Volunteer or Events tabs.Also, not all information is able to be added through NXT and queries must still be run in the database view. NXT is a huge upgrade from its predecessor, but is mainly concerned with front line fundraisers who need to easily access information, often on the go. It won't allow database managers much functionality as they will still need to work in database view. Raiser's Edge NXT equips frontline fundraisers with easy access to donor information in a friendly user interface. This allows fundraisers to much more easily access information about donors and run reports using the analyze function. Unlike its predecessor, you don't have to deal with a clunky UI or have intensive database management skills. I love the interface. When compared to the desktop version, the interface is so friendly, clean, and easy to use. I believe this tool is targeted for the on-the-go fundraiser. We had a director of development that loved using RENXT, but only her actions or donations that were tied to her fundraising activities appear in the gifts section. We are a very small organization and because I love the interface of NXT, I'd love to use it more, but it doesn't seem to have the integration I am looking for. Especially with the email marketing tool. Emails that I have sent out using the dashboard software cannot be seen when using NXT. Only emails sent through NXT are viewed there. I love the email marketing interface. It is so much cleaner and easier to use than the dashboard version. My only problem, as stated in a previous question, is that the dashboard version and NXT version do not seem to talk to each other. Emails sent through the RE Dashboard are not view-able in NXT and vice versa so I cannot view all in one place. "Useful addition to database view of RE"
NXT has been really nice as an alternative to logging into database view. I've been able to give access to the database to more of my team and Board without fearing that accidental changes will be made to gift records. It gives a great snapshot, is incredibly easy to navigate, and feels more like a modern social media type platform and less like a database. I also like that simple changes can be made to profiles (updating an address, solicitor, adding notes) without having to actually login to database view. Makes documentation much more efficient. The customer service used to be incredible - short wait times, great response. Now I often have to wait for lengthy period of times to reach someone. Still, decent quality. Just not as many representatives available and not as much success with those that I've chatted with. Although it is a pricey subscription to have, it is definitely worth it if you have multiple users needing access to your fundraising data. RE houses all of our fundraising data. It's nice having it all in one place and the software is reliable. Although you can't have the same reporting capabilities as you get in database view, it still provides a really great snapshot of a constituent profile. This has been really helpful in capital campaign cabinet meetings as we look at prospects and considering their giving potential. "Raiser's NXT is a revolution for Raiser's!" NXT is a huge improvement for Raiser's Edge. Raiser's Edge needed an upgrade and it was past due for one however NXT takes the database view and makes it more visually appealing, intuitive and user-friendly. It's much needed if you are a Raiser's Edge user especially if you are in a major giving field. You are able to see consecutive giving records, enter notes in NXT while on mobile version and assign tasks to users which is great for giving officers on the road. It gives detailed charts on giving and sends you alerts daily indicating which donors you should reach out to and it even gives you suggestions. As much as it's an updated, innovative tool, it has its kinks and I notice the consecutive year giving fields in NXT don't always match the years in constituent records. Actually, sometimes the information in NXT doesn't quite match the database and I also find it a bit difficult to tell the giving levels and remaining pledge balance within the NXT records. Utilize Blackbaud support and knowledgebase articles. Ask a rep to visit with a free demo. We could access Raiser's from anywhere by logging into Blackbaud.com and it's very mobile friendly which is great for major giving visits and allows us to assign items and keep notes on donors we are visiting. The suggested donor outreach ideas are very helpful in increasing donor giving. Ease of use -- very easy to navigate and being web based, we can access it anywhere. Lists are very easy to use and quick to export. I don't have to wait on our data staff to send me the things I need -- I can look them up myself. Database view is difficult to access -- takes multiple steps to get there. But I know that eventually, everything will be accessable on NXT. While lists are amazing, there are some attributes and such that I still can't create a list out of. They still have a ways to go before everything is hosted on NXT, but it's made a huge difference in our staff productivity already. Our staff are easily able to run their own reports and access data on their own time, without having to wait for a database administrator to provide it for them. Lists are very easy to use, and since it's web-based, we can access it from anywhere. Raiser's Edge NXT is a sleek interface that has both online and mobile versions to make it possible to use on the go. It is significantly easier to navigate than its partner, the more data-centered Raiser's Edge, which makes it the perfect partner for our Development Directors. It is also more intuitive, which is a wonderful feature when asking people to input data. I am unsure if there are any plans to incorporate the reporting and query features into this version of Raiser's Edge. I believe that people have long wanted an easier, more intuitive version of the software, and this is it. However, only our externally-facing employees reap the benefits of this version. Our database manager and other data-centric positions only ever use the other version because it has more data processing ability. With ease comes greater use. I believe we would be getting lesser quality, or perhaps just less, information if we were only using the other version of this software, which means that our records would be less complete. "I wish there was more training available "
I like that Raiser’s Edge NXT gives you the ability to access your data in a way that is easy to understand. I like that a lot of the data is already analyzed, saving users time and effort. If you are a company that benefits from analytics then NXT might be the right choice for you. It allows you to see a lot of data very quickly. However, if you do not work for an organization that is interested in data this product might not be for you. We are using the Raisers Edge NXT to solve some of the inefficiencies that you encounter when using the database view. It is also an easier view for fundraisers to use. "Diverse yet simple to understand.."
The fact that you can keep all the names of your prospects, friends, students in a secure system. It was easy also to separate each group so that if I wanted to email say a list of donors, I could send out an email just to them and so forth. One can also separate people by country, age group, religion, title, etc. When I used to add photos, maybe it was just me, but it took a while, to add media material. It wasn't a simple step but took a few minutes instead; I think it was my slow computer at work. Media was essential to remember faces of donors, especially if you had a few thousand in the system. Learn it. Do not let your employees or you just jump right in, take the time to learn about it, it isn't that difficult, but will certainly need your focus and complete attention. Many great features such as arranging for events on campus, that itself was a great feature. 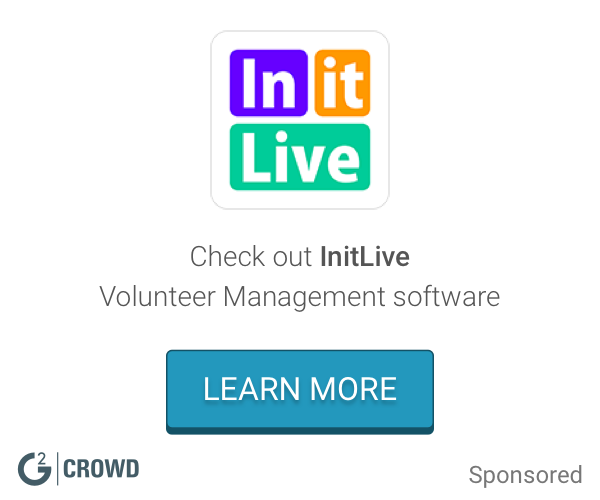 One could add the volunteers for an event, the staff, the guests in attendance and save it for future follow-up. Furthermore, it was easy to put out that list to send it out a follow-up or just wish them a happy east/Christmas, really, depending on where the group was from and background. "RENXT is a great product now and will only get better." RENXT is very accessible to everyone, Everyone in our Advancement office likes using it and and understands how to use it. There aren't any features that I don't like. I am anxiously waiting for them to release more functionality, but also understand that Blackbaud is taking their time to make sure that everything works properly. Remember that you're not losing traditional Raiser's Edge when you buy NXT. You still have that and all of the functionality that still isn't available yet with NXT. You just have a newer and easier view of your database that everyone will now be able to use. You're buying a new view of your database - not a new database that you have to convert to, The analytics with it are pretty spectacular and they will only keep getting better and mroe robust. As I said before, everyone is comfortable using it and it frees up my time as the database manager to do other things. It also gives everyone immediate information about how we're doing which helps us to react more quickly. For snapshot reports, basic dashboards, action entry and simple constituent records updates it is a great improvement on traditional Raiser's Edge. Data entry is simple and straightforward -- often just drag-and-drop -- and dashboards, lists and constituent records are easily viewable from mobile devices. Frontline fundraisers have migrated almost exclusively to NXT and are now comfortable entering their own contact reports and actions, which means more real-time data updates for our campaign prospects. Data in the dashboard (Analyze) view is typically several hours out-of-date, which can affect the output in the snapshot reports. Also, traditional Raiser's Edge is still the best resource for complex querying and portfolio management. It's irksome that you cannot yet filter by solicitor type in NXT (although they are constantly updating the product and this feature may be available by the time this review is live). It's a good investment and headed in the right direction, with more updates coming out all the time. The interface is easy - more like a social media platform than a database - and makes data entry easy for frontline fundraisers on the go. As a database manager, I appreciate the fundraiser desktop view because it allows me to put more of the responsibility of reporting in the hands of the fundraisers. They can view all of their own actions for all of the donors in their portfolio without me having to run a list or export for them. The interface is also beautiful and incredibly easy to use. I do not like that I cannot do gift entry into NXT yet. I know that is a future process, but I wish it was more database manager useful and not just primarily for fundraisers. If you have it, USE IT! If you dont have it yet, please get it as soon as possible. It is an amazing tool for fundraisers managing their portfolio. This new system allows me to put some of the workload back on the fundraisers for quick analytical data. This gives me more time to work on the tougher stats and they can get their quick answers. That my team finds it to be user friendly and that it shows all information on one screen and you can customize it per user. I am not fully trained and need so I have not found things that aren't working for us yet. If you want your supervisors, Major Gift Officers and ED to use the database this is the best way to have them get involved. It is very user friendly with a few tutorials. It is also a great visual for those who have bosses who like to see graphs and comparisons. It's nice to have the visual flow charts for different funds instead of running reports over and over again for our officers. I am really in awe over the mapping function. It is cool that you can draw an area and see all constituents and their address info within that area. I like how you can easily search for records and constituents. You are able to see items such as gifts, donor information, potential to raise "ask" amount, history with your organization, etc. Our executive director is not necessarily an expert at technology and this was easy for her to understand and access. I wish you could do mailings from NXT. I am still learning how to use the product, but it seems fairly easy to understand. Very easy. Blackbaud chat is very useful! Be sure to ask them for any questions you may have. They also have a YouTube channel and several articles that make everything easy. You can also take training classes to understand Raiser's Edge NXT. Sometimes it is difficult to log in. We have had issues in our organizations with logging in and being able to open up Raiser's Edge NXT in general. "NXT is great and still getting better all the time!" I particularly enjoyed NXT because it allows for a very quick and convenient to access records in raisers edge without having to use a more complex query or using multiple logins. I also especially like the added activity tracker that was added more recently so that I can track total actions and results. I don't love that NXT won't let you access all the information in someone's Raiser's Edge account. I don't even care if it wasn't pretty to access but it is tough when you simply cannot see all the available fields. Especially in the filter, there needs to be a greater breadth of ways in which one can access and sort records. Especially when ideally with thousands of records at a time. I think that especially if you aren't needing to deal with huge amount of data and export, NXT is a great easy to use interface that you can easily manage your dono or volunteer records from within. NXT allows our users that are not needing to complete larger information pulls to easily access donor records and update records and notes in one simple process. "Great for the fundraiser on the go"
NXT is an easy to use, cloud-based interface that can be used on the go. This means fundraisers in the field can look up a record, run a report, etc. themselves instead of calling someone at the office and asking them to do it and read the info to them over the phone. It's also a lot easier to use, meaning that it is a lot less intimidating, especially to someone who might not use it as regularly as I do. They can also then add their notes right in after their meetings. It also has a lot of other great functionalities and I look forward to seeing what else they add. It's fairly new, so it can't do everything "regular" RE can--yet. But they are continually adding new updates and features. It's great to use in conjunction to RE, especially if you have a lot of fundraisers in the field or people who are intimidated by "regular" RE so they aren't using it fully. It's a great on-the-go solution for fundraisers who spend a lot of time in the field. It enables them to access and update records themselves when they need them--such as before, after, or even during a meeting. It's also user-friendly. "Early adopter of RENXT, having previously been an RE user"
The web interface is so much easier than the database view. We still use both RE (Database view) and RE NXT (web view) and find both useful. I"m glad we adopted NXT within the first few months of the roll-out in 2015. The product has gotten increasingly better since the launch. There is still a long way to go, but NXT is such a more intuitive product that RE, meant for front-line fundraisers and solicitors. Love it. The roll-out was not great. There was almost no training. Consequently, it's taken us a long time to figure our database to make NXT work properly. They can nickel and dime you on training, which is just annoying. We had a terrible account manager in the past, but the one we have now is amazing - if you get this product and don't like working with your account manager, be demanding and ask for someone else. It makes all the difference in the world. Just buy this product! Don't mess around with the others. This is expensive and complicated but powerful and worth it. Constituent relationship management, specifically NXT provides a user-friendly interface for front-line fundraisers and, hopefully, our board and leadership solicitors down the road. NXT is a very robust platform with great potential for future development and many benefits of SaaS. The interface is modern and intuitive. Mapping is a strong feature. Reporting is essentially in beta, with no open API for other options. The mapping of terms and features between NXT and 'database view' (RE 7.9X) is inconsistent and generally inflexible. Large organizations with complex fundraising and reporting needs will need to look to Blackbaud CRM or Salesforce options. NXT is a strong platform for gift officers to manage their portfolios, enter activity, and track proposals. Old school data warehouse becomes a vibrant modern tool. While the old database interface remains my go to view, having mobile accessibility and clean modern view option helps non-users and infrequent users to easily digest information. The loading time on the mobile view is slow when moving from one record to another, ergo why I use the database interface as my go to. Moreover, parity between fields between the old interface and the mobile version are not identical, leading to some bumps along the way - nothing insurmountable, though. The more integrated you can make your CRM, the more bang for the buck RE NXT will deliver. That said, with API plug ins available, there is more flexibility to utilize a la carte tools than Blackbaud previously permitted when selling server based systems. The ability to integrate financial management, prospect management and reporting are just the beginning. The level of quality information, ensuring our data is not aging, is the greatest asset. When I was hired three years ago, the data was sparse, outdated and could not be relied upon given the absence of NCOA, email and phone appends as well as rating information. The robustness of the NXT version beats the traditional server based system hands down. "Intuitive Design and Allows for Quick Access to Data "
I like being able to quickly access information through the search bar I can enter a few letters and a drop-down list will appear and change as I add more letters. This decreases the number of clicks that I have to make and allows me to see any potential family members in our database. I enjoy the nxt features, sometimes I wish the design could be more minimal to prevent data overload. Perhaps adding tabs to the constituent records could solve this issue. As someone who uses's both Raiser's Edge and Raiser's Edge NXT I know that the NXT interface feels more comfortable for some users and I love that there are regular updates to address customer concerns. I like the cloud database function over all. In addition, the sleek design is appealing. The functionality is much easier to use and less clunky than the database software. Showing the birthday in the preview of the constituent would make for easier searching when address or consituent is not known. I also would like to have the search bar stay open at the top opposed having to open it. We are using NXT for managing members of our instutition. It is much more functional and easy to use for our student workers/older staff members. "Benefits do not outweigh the costs"
The benefits of RE NXT for our organization are that we can have unlimited users and unlimited training, which is good because we have a lot of new staff this year. Also, the front end of NXT has the potential to provide us a lot of good information on our donors and structure around donor relations and prospect management. We haven't fully begun to use it yet, but I hope that it really helps us identify where the money is and move our donors and prospects through the process. If you have a large staff, already pull your email lists from RE and have someone completely dedicated to taking every training and working with the various on-boarding representatives, then this might be a good product for you. - On-boarding process: We had to work with four different people to get the system set up, and we had to work on their limited schedules. Each person made us sign up with an online calendar system that offered limited availability. Trying to coordinate the schedules of multiple staff and the various representatives took months. We also couldn't test the NXT portion of the product before going live, and no one walked us through all the features we should have been testing, so we had no idea what we were supposed to do. - Online Express: Processing online gifts is more difficult than PayPal, especially recurring gifts, which have to be manually processed each month. Also, we were not informed of how difficult it would be to import our email lists from Mailchimp. We hoped to cancel our PayPal and Mailchimp subscriptions, but we need to keep them until we work out all the kinks in Online Express. - Using the hosted version of RE7: The process for logging into RE7 is complicated and lengthy. We used to just click the RE icon on the computer and login. Now, we have to login to blackbaud.com, then login to the Citrix server, then click on the RE icon, then launch the Citrix server, then login to RE. When you want to download and save a report, you have to make sure to select your hard or network drive when the save dialog comes up. Otherwise, your document ends up in a RE limbo that requires another lengthy process to download the document and save it to the right place. And, we can't print from the hosted site at all. We have to save everything to our computers first and then open and print it. What a pain. - Logins: Every part of RE NXT has a separate login, and users have to be invited to register for each part. We had a lot of trouble with people receiving the invitation emails and getting registered, which caused us delays in using the product. The average user has four different logins to maintain. Additionally, if you're idle for more than about 15 minutes, you get logged out of everything. Since the main point of NXT is to encourage frontline fundraisers to use it as a prospecting and donor management tool, it seems like it should be something that can be kept open all day to encourage regular use. None of us keep it open all day because we have to login each time anyway. - Support: Once you get everything setup and are using the product, the support teams don't want you to contact them anymore. They give the bare minimum of assistance and encourage you to just use the online help and training resources. The problem is, if you don't know what you're looking for, it's hard to use the resources. It would be nice to have support people who are willing to walk you through an entire process to ensure you understand it, rather than just sending you a link to an article or webinar explaining things. I could go on, but I really don't have time to detail every issue we've had. Do your research and ask a ton of questions. Make sure you fully communicate everything you're currently doing and what you expect from NXT. Otherwise, you will be frustrated and disappointed. While we hope to use NXT to be better at prospecting and managing donor relationships, we haven't realized anything yet. "Not without hiccups, but overall the best fundraising platform out there"
Queries (searching) can, at times, not be as intuitive as they should be. It can be a pain to pull out simple data. Connection issues since moving to hosted services - it basically can not be used on wireless reliably, and requires us to be wired to our network to ensure connection won't be lost. Tracking of gifts and donors as well as tax receipts. As a large association, we see many gifts for differing campaigns and a wide range of amounts. This platform helps us ensure that we're tracking our campaigns effectively and that we are thanking our donors correctly and in a timely manner. While cumbersome and sometimes confusing, queries allow us to pull a large amount of data out of the database in a document that is largely easy to understand and manipulate, though some of these manipulations would be welcomed within the platform vs. having to move it to excel. Compared to alternatives, this is the cream of the crop. I've always found The Raiser's Edge easy to use and learn. Blackbaud's customer support is top notch as well. The Raiser's Edge NXT is quite costly and the cost of modules has prevented us from using features that would be beneficial. Costs are too high for smaller nonprofits. Records management: allowed our organization to be track correspondance with donors. document management repositories: allowed our organziation to see which letters were sent to each donor. Web based: our last data base was not web based and could only be used in the office. "In the Cloud and on the Web"
The development offices have easy access to the database without needing special equipment to log in. They can just use their phone. Not all changes sync up to the back end of the database because of how we have used the system in the passed and what is unavailable to view on the web view. Ease of access for low to medium users. Development officers are able to view their portfolios and make necessary solicitation decisions on the go. "Not great for alumni relations"
I liked the original search bar and being able to open multiple windows and see contact information on main page without having to open multiple layers. I like the media/links tab. The change in search bar, software is geared toward development and not alumni relations, fxt doesnt speak to nxt, not all info is editable so you have to go back into RE to dig down. Also no export option in nxt for lists. Make sure it meets all the needs of institutional advancement. We lost a lot of functionality in alu,mni relations when RE pieced out the package e.g. online express does not have the same features as netcommunity. Stewardship of gifts made easier with quick access to emails and phones. Blackbaud is moving in the right direction here. There are 100+ updates monthly to the system and importing functionality is where I'm most excited to see these changes keep getting better. The inability to see error uploads in a separate screen is frustrating to my processes but I do have a work-around. Utilize the Knowledgebase first before going to support, it can answer so many of your questions! Time saved is beyond worthwhile to use RE NXT. I am saving hours per week with the import function. "Was hoping for NXT, but it fell short so it's on to the next...solution that is." The concept of being able to remotely access portfolio through the ease of a mobile app was initially very appealing. The simple profile layouts made it easy to pull up a constituent without having to pull out a laptop or tablet. In the end it seemed as though RE over promised and under delivered. A lot of essential/helpful data is not available on the mobile app and the price point is a deterrent for a product that seems to be in somewhat of a beta mode. Improved accessibility. Real-time updates. Group access/constituent assignments are easier to manage in comparison to previous versions. I like that you can do things on the software very quickly and it is so easy to use. Everything is so simple and easily layed out. I learned how to use it in less than 2 days and I can consider myself almost an expert. I dislike that it seems to be very outdated and the graphics are very unpleasing but overall the program has a purpose and completes it. I wish it could be more known if anything to be able to improve these dislikes. I wish it was more known because it has really good features to it. I like how easy it is and if only it was more known it could be more used within companies. I have only worked on it once before and do not hear much about it. But it is a great data base. "IF you have RE, NXT is worth it"
NXT takes RE and turns it into something that is cloud based, responsive and easy to use while on the road. The nice thing about NXT is that it is a simplified version of RE, but that can also be the downside in that you have limited data you can access in NXT. 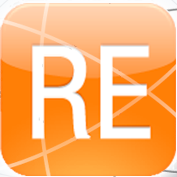 Worth it if you have RE - makes the RE database much easier to use. Allowing development officers to be able to better keep track of and cultivate prospects. "Easy to use, needs more functionality"
Much easier to use than Raiser's Edge and less complicated. I like how the "Shell" is organized in terms how of the various tools & the menu of options are formatted such as the Records page, the Query page, the Export page and so forth. I am still fairly new to this product and as such; a "dislike" is not applicable. This product was recommended to me by a friend who is a Development Director at a well-respected private high school and I have been very happy with the practical applications and straighforwardness of this system. I'm an Assistant Professor of Sport Administration at the University of Cincinnati. I am providing student hands-on lessons on the "fundamentals" of the system & how the analytical data housed within it... by way of Queries & Exports can lead to efficiency gains when building relationships w/ constituents as well as improve decision-making. "Raiser's Edge NXT is the Next Best Thing"
NXT allows our fundraisers to easily and efficiently see the information they need in order to better understand our constituents. Intuitive reporting and a user-friendly interface saves me time and energy. It's very expensive, so you have to use it for all your major gift and annual giving tracking and constituent records for it really to be worth it. "Raiser's Edge NXT Allows Mobile Access to Donor Info"
The ability to look up donor information on my laptop or cell phone when on the go. The need to sometimes go into the database view to see more specifics and run queries. Blackbaud has been around for a long time and although RENXT is a rather new offering, Raiser's Edge itself is not, and the database is extremely robust, covering myriad possibilities for donor follow-up. More donors contacted, fewer falling through the cracks and not being followed up on. Greater accountability. "Works well for our system"
I like the connectivity between the database and our school software that is coming up. Raiser's Edge has become increasingly easy for the everyday user. There's some bugs with the way our database was initially set up, now we have a lot of inactive phones, emails, etc that are being pulled within the Query section. We use the Raiser's Edge/Financial Edge connectivity to manage the budgets of various endowments, campaigns and funds. We also use Raiser's Edge to track donations between organizations and formulate tax acknowledgement letters from them & pull out fundraising trends to do a greater amount of statistical analysis. I really like the easy interface and particularly the facility with which I can add actions in NXT. I find it very user friendly. I don't like the "tags" feature that provides me with recommendations on my next action with my assigned prospect. I ignore them completely but have to view them on my work center screen each time I log on. I find NXT helps me to faster access the information I need do my job. I like how easy and organized raisers edge is. Putting in clients names with their information is incredibly easy to guide threw. Maybe a little easier navigation when going from section to section. It is already pretty good but I guess if I had to choose I guess the navigation through thr site could use a little fine tuning. I like that the formats, fonts, layout are all very pleasing to the eye and make the information manageable. I wish that many of the search features, list queries, etc. were consistent with what's available on the data view. It can be frustrating to not have that consistency. Event platforms still need work, but overall if you put good data in you will get better data out. I have been able to better track donors and observe trends. I really enjoy RE NXT, and the ability to organize fundraising data. I dislike the fact that certain functionalities are not possible in NXT. Get to know the backbone of RE before converting to NXT. THe business problems I am solving using NXT is constituent management. The benefits are to have accurate information. I am a new user and like the intuitiveness of the program. I really haven’t found anything that I dislike to this point. We are solving an issue with reporting and bad data. We have realized that it’s easy to find duplicates and manage them efficiently. "NXT is a great product!" The way each record is set up---much better visual design, and very user friendly, the most important information is right in front of you and easier to find, not a bunch of tab clicks away. The media attachment feature is also incredibly slick! Sometimes it is a lot of information to process at once, with everything right there--if you aren't exactly sure what you are looking for you might take longer to find it. If you are in the habit of using RE & feel very comfortable with it, it can be hard to move to something that looks so completely different, but I like the changes. Volunteers being able to have tailored access to information that we used to have to manually look up and send ourselves is a huge time saver. "Raisers Edge for the 21st Century"
RE NXT is visually appealing and more intuitive than regular RE. There are still many features not available in NXT that are used in regular RE. I can't imagine using NXT without also using regular RE. But that may be because I have been a regular RE user since 2005. Staff that travels are able to access the database with just a WiFi connection and portable device. Managers use the analytics tools without asking for special reports from data ops staff. I like the ease of entering data. RE pretty much talks you through each step. Pulling queries and reports are simple as well. Customer service lacks prompt response time. There have been several instances where I have been on hold for 30 minutes before getting to a representative. In general the reps are very knowledgeable and able to answer my questions. However, my schedule doesn't usually allow me to be on hold for that amount of time. I am able to easily track donor and participant information. I can easily pull reports on giving history, relationships, etc. I can also track who has and has not been solicited. "Comprehensive fundraising software, not intuitive "
Not user friendly or intuitive. Users must receive training and use software regularly to understand how to run appropriate queries to obtain correct information. Required lots of trial and error from team to obtain correct data. I like being able to access records and enter actions on the go, from any device. Entering actions is not always in a consistent format with desktop version. Collaboration with team members from other locations. "New user, still learning the product"
At present, the product has limited functionality in terms of analysis and reporting, but this is likely to change in the near future. This is a product that is still very much in development. While there is still much to be desired in terms of functionality, it is also constantly being updated, with many improved features in the works. Currently: developing a resource for volunteer fundraisers to track interactions with their assignments; empowering front-line prospect managers to track interactions as well. Raiser's Edge offered a comprehensive platform to log and continue donor interactions. I liked how easy the website was to navigate. I was clearly directed where I should go and what I should click on. I was a little confused on some of the pop-ups. They were a but hard to understand. It is very safe and easy to locate constituents. "User-friendly interface, still missing modules "
The inter-face is much more aesthetically pleasing. Major gifts officers have responded positively about RE NXT. The dashboard feel is great because most of what you need is on the main page. Blackbaud is still developing/building modules for RE NXT so many organizations are hesitant to migrate. Do a lot of data cleansing and mark necessary records inactive before migrating. New pricing depends on the number of records in the database. Having Blackbaud create more practical built-in reports. There is now better integration with different Blackbaud products. * We monitor all Raiser's Edge NXT reviews to prevent fraudulent reviews and keep review quality high. We do not post reviews by company employees or direct competitors. Validated reviews require the user to submit a screenshot of the product containing their user ID, in order to verify a user is an actual user of the product. Hi there! Are you looking to implement a solution like Raiser's Edge NXT?